…I decided I wanted to work at The Kashmir Company because of my adoring love for being able to effortlessly change my look, and what’s in my closet, with just a single fashion accessory. I’m all about reflecting my totally matchless personality with the styles I wear. I thrive in creating my own style, my way! And that’s exactly what I discovered in the Shawls & Scarves at The Kashmir Company. These aren’t the generic shawls & scarves you’ll find at Macys, Nordstrom, Saks 5th Ave. or Neiman Marcus. 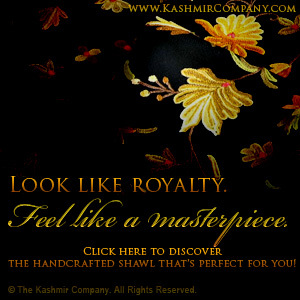 The Kashmir Company only sells one-of-a-kind, handmade, authentic shawls & scarves made exclusively for us by Kashmiri Artisans. These are people who have shawl & scarf making ingrained in their DNA. 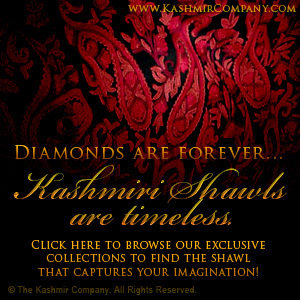 They literally spend thousands of hours creating JUST ONE Kashmir Shawl or Scarf! Tell me that isn’t absolutely amazing!!! …Because of rare craftsmanship, unparalleled quality and uniqueness that nobody can ever find in a department store. And the moment you touch and feel one of these timeless fashion accessories, you will unquestionably fall in-love with them. 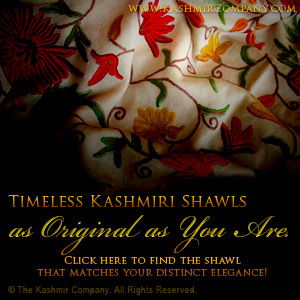 I promise you that there’s NOTHING in your closet that comes anywhere close to the exquisite texture and quality every single one of our Kashmir Shawls & Scarves possesses! Do you love being a trendsetter in women’s fashion… like me? Do you cherish the opportunity to express your emotions with your distinct style… like the most magnetic and charismatic celebrities? Do you revel in your ability to transform your look & style with just one timeless fashion accessory… like busy, but knock-out moms and career women? …We dress to express our feelings. …We dress to convey a certain image and intention. …We dress to turn heads and be seen for our class as much as our beauty. 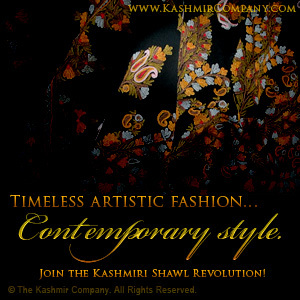 The Kashmir Company is all about helping you express Your Style, Your Way! That’s what being a trendsetter on the leading-edge of fashion is about! You don’t have to mimic what everyone else is doing. …And utilizing one of the most versatile & awe-inspiring pieces of fashion-art on the planet. Kashmir Shawls & Scarves are an essential accessory for bringing back to life what’s in your closet and demonstrating the complexities of being, you! You can reflect the playful, serious, professional, casual, bohemian and ultra-contemporary looks you love so much easily… in just a few simple steps. You’ll feel excited about wearing clothes you haven’t put on in a long time, because now you can make them look and feel so much different than before with one accessory. Your Kashmir Shawl or Scarf, unlike any other clothing item, can be worn in a multitude of different ways, to boost your bust or camouflage your hips! 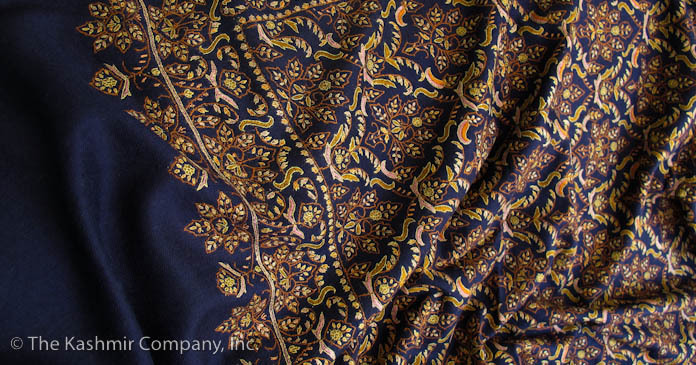 None of your friends or acquaintances can own YOUR Kashmir Shawl or Scarf because what you’re wearing is one-of-a-kind! When you feel good about how you dress, it wildly affects your mood and helps you create a more positive day for yourself. Fashion is that powerful! I will be contributing my insights & fashion expertise here on KashmirCompany.com and our blog to help you fully visualize the possibilities our incredible products can create in your closet… and your life! To Your Style, Your Way! P.S. If you’re not passionate about using fashion to tell the world who you are, today, you’re missing out on an incredible opportunity. I’m sure you’ve heard “a picture speaks a thousand words”, right? Well, just one handmade Kashmir Shawl can help you express your feelings in an almost infinite number of ways! Join the Revolution!